Archipelago Images is a website dedicated to showcasing wildlife, landscape and underwater photography. The images on these pages all have one thing in common. Whether it is Ambon or Fiji, Seychelles or Sulawesi, all of the photographs were taken on or in the waters surrounding islands. Islands hold a special place in our lives, for travellers they offer a form of escapism, while for many cultures and religions they are important sites, home to sacred temples and churches. Many of the planets greatest wildlife oddities are found on islands, with evolutionary isolation leading to all manner of forms. Often species poor, susceptible to extinction, but high in endemism, islands offer scientists a window into a living laboratory and have provided insight into much of what we know today on the subject of evolutionary biology. Archipelago Images offers a glimpse of the amazing diversity of fauna and flora found on islands around the world, with a strong focus on environmental and conservation issues. Please take a moment to view the galleries and read through the blogs and articles, which are updated regularly. The new updated version of 'Underwater Guide to Seychelles' is now available for purchase. The guide is designed to provide an overview of the best snorkel and dive spots within the inner granitic islands, as well as providing an id section to some of the archipelago's most common reef inhabitants. I am very pleased to now be a member of the Ocean Artists Society. The Ocean Artist Society was created to foster an appreciation and develop continued interest in the ocean arts. My new book, Underwater Eden, co-authored with Joe Daniels, is now available to purchase. 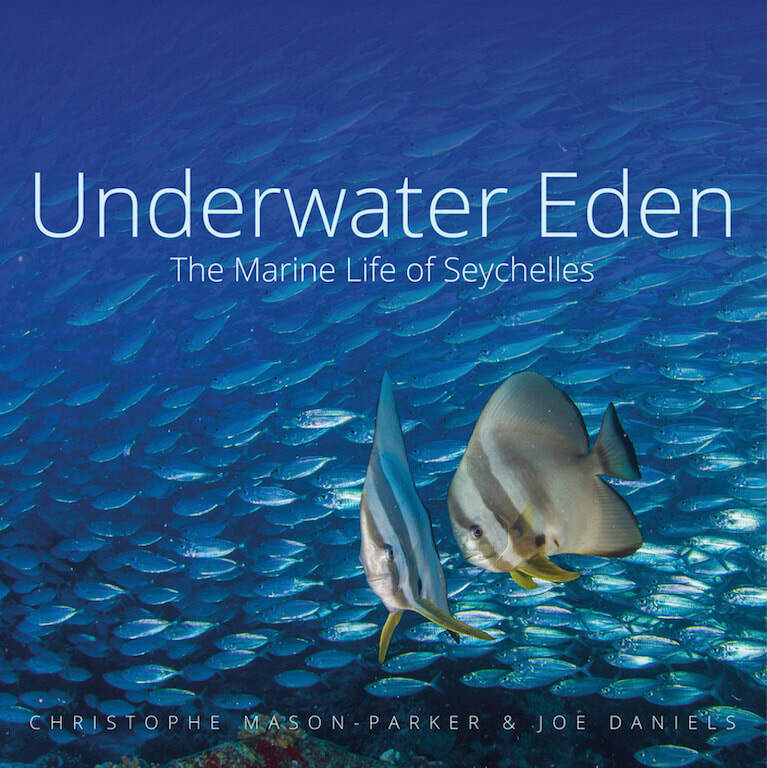 Underwater Eden features over 140 images, shot over two years snorkelling and diving within the Seychelles archipelago.